There were so many notable and circuit court decisions from this past week it was hard to choose just one noteworthy decision. I decided to go with one awesome decision that may not have gotten as much press coverage as the others – Ellis v. Liberty Life Assurance Company of Boston, No. 15-C**V-00090-LTB, 2019 WL 200394 (D. Colo. Jan. 15, 2019). What I love about this decision is that it snatches victory from the jaws of defeat, but it also highlights the real difference the standard of review makes. On a motion for reconsideration, Plaintiff Ellis’s new attorneys, McDermott Law, were able to get the Court to reconsider its previous decision finding that C.R.S. § 10-3-1116(2) does not apply to the discretionary language in the relevant disability policy and entering judgment in favor of Liberty Life under an arbitrary and capricious standard of review. See Ellis v. Liberty Life Assurance Co. of Bos., 333 F. Supp. 3d 1083 (D. Colo. 2018). 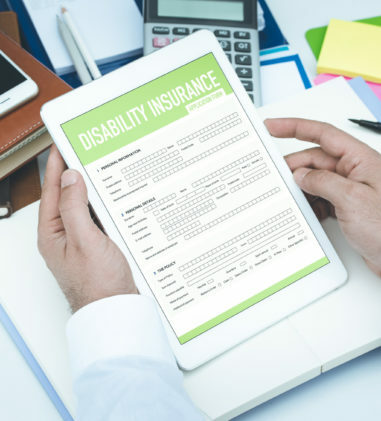 On the standard of review, Plaintiff re-argued the applicability of § 10-3-1116(2) with more attention to amendments to the Policy and a Summary Plan Description for Comcast’s Disability Plan that was not part of the administrative record. The SPD states that the Plan is effective January 1, 2011, and is the successor plan to the previously maintained disability plans. The court noted that Liberty Life failed to cite to any authority to rebut Plaintiff’s argument that these amendments make it such that the court would not be applying § 10-3-1116(2) retroactively, as it had declined to do in his prior decision. The court rejected Liberty Life’s request to strike the SPD from reconsideration since “[a]sking the Court not to consider information known to it that is relevant to Mr. Ellis’s claim for long term disability runs counter to the duty that Liberty owes Mr. Ellis.” The court also rejected Liberty Life’s argument that it should not be bound by the SPD since it was prepared and issued by Comcast. The court found the SPD and the Policy related as the SPD explains that the Comcast benefits are provided through an insurance contract. The Policy’s issuance date of 2005 does not preclude the application of § 10-3-1116(2)’s prohibition on discretionary provisions since the Comcast Disability Plan went into effect in 2011. Though arguably this analysis would also support a finding of abuse of discretion, the court believed that it had the ability to find in favor of Plaintiff only if it did not give any deference to Liberty Life’s determinations. The court entered judgment in favor of Mr. Ellis ordered Liberty Life to pay monthly benefits since the date they were terminated and until his medical condition changes or until he reaches the age of 65. This is also a cautionary tale for those who represent plans and/or the insurer’s that fund these plans. Here, the court found that a document prepared by the policyholder impacted the rights the insurance company attempted to grant to itself in the policy that it drafted. But we’ve also seen the reverse play out in the context of state bans on discretionary clauses; specifically, in cases where courts have found that a grant of discretion in a Plan document overrides a state ban on discretionary clauses in disability policies. See Gallegos v. Prudential Ins. Co. of Am., 2017 WL 35517, 62 EB Cases 2380 (N.D. Cal. Jan. 3, 2017); Brunelle v. Mid-Am. Assocs., Inc., 2017 WL 3588055 (E.D. Mich. Aug. 21, 2017). Wilson v. Fioritto Constr., LLC, No. 2:17-CV-317, 2019 WL 235111 (S.D. Ohio Jan. 16, 2019) (Judge George C. Smith). In this dispute over unpaid fringe benefit contributions, the court ordered Defendant to pay Plaintiff’s counsel a total of $22,175.90 in attorney’s fees and other costs. The court did not award fees for time spent not related to the case or spent doing purely clerical or secretarial tasks. 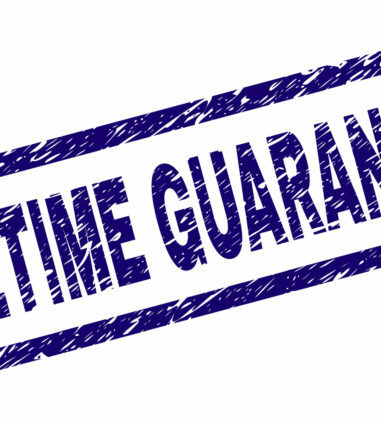 Attorney rates requested and awarded were $260-290/hour for a 4th-year attorney, $425-450/hour for a 15th-year attorney, and $210-215 for a paralegal with 37 years of practice. Sullivan v. The Prudential Life Insurance Company of America, No. 212CV01173TLNDAD, 2019 WL 248880 (E.D. Cal. Jan. 17, 2019) (Judge Troy L. Nunley). In this case, Plaintiff prevailed in court on the “regular occupation” definition of disability and the court remanded the claim to Prudential to determine “any occupation” disability. The parties settled attorney’s fees related to the litigation. On remand, Prudential approved the claim for any occupation benefits and then later terminated the claim. 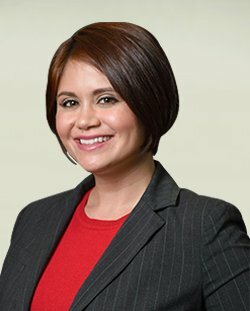 Plaintiff’s attorney got the benefits reinstated without filing a lawsuit but filed a motion seeking attorney’s fees for the work done on remand. 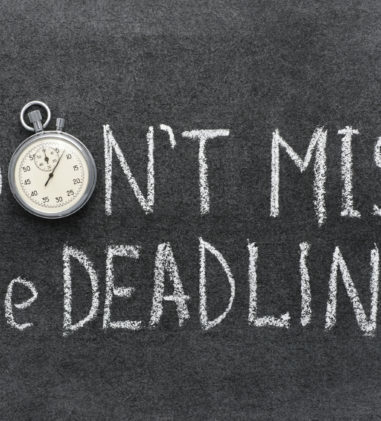 The court found that Plaintiff is not entitled to recover attorney’s fees for administrative exhaustion she would not have been entitled to recover if performed before filing suit. The court also explained that a contingency fee arrangement with her attorney is not a basis for a fee award under ERISA. Hartle v. Life Insurance Company of North America, No. C18-5449 BHS, 2019 WL 195087 (W.D. Wash. Jan. 14, 2019) (Judge Benjamin H. Settle). Plaintiff challenged LINA’s reduction of his LTD benefits by the amount of his pension benefits rolled into an IRA. The parties settled the matter within a few months of the filing of the complaint. Plaintiff sought over $58,000in attorneys’ fees. The court found that Plaintiff met his burden of establishing that an award of fees is warranted because he achieved complete success in obtaining a settlement and restoration of his benefits and an award of past due amounts. “LINA was culpable in the sense that it reduced Hartle’s benefits with no investigation and despite letters from Hartle threatening a lawsuit. LINA appears to be able to pay any award of fees. An award of fees would most likely deter insurance servicers from acting without an investigation and despite communications from the claimant. The fourth Hummell factor is irrelevant to this simple matter. Finally, LINA conceded that Hartle was due his requested relief.” But, the court found that the amount of fees is excess and unwarranted. The court awarded fees for 40.81 hours of work at a rate of $500 per hour for a total of $20,400, and $2,525 for 10.1 hours of paralegal work at $250 per hour. Service Employees International Union National Industry Pension Fund, et al., v. Palisades Operations, LLC, No. 17-CV-1664 (KBJ), 2019 WL 211391 (D.D.C. Jan. 16, 2019) (Judge Ketanji Brown Jackson). The court adopted in its entirety the Report and Recommendation awarding attorneys’ fees and costs and awarded Plaintiffs a total of $8,826.00. Scottsdale Ins. Co. v. Byrne, No. 18-1526, __F.3d__, 2019 WL 211420 (1st Cir. Jan. 16, 2019) (Before Lynch, Stahl, and Barron, Circuit Judges). Wellesley Advisory Reality Fund I, LLC (“WARF”) was sued by Appellees for mismanaging and squandering money that the Funds had invested. Following entry of default against WARF, it assigned the Funds its rights in WARF’s insurance policy with Scottsdale Insurance Company, which had declined to defend WARF on the basis of several exceptions within the policy, including the Professional Services Exclusion, ERISA Exclusion, and Conduct Exclusion. The court affirmed the district court’s decision that the exclusions in Scottsdale’s policies did not relieve the insurer of its duty to defend WARF in the prior action and the court’s award of $3 million to the Funds, plus post-judgment interest. Acosta v. Saakvitne, et al., No. 18-00155 (D. Haw. Jan. 18, 2019) (Judge Susan Oki Mollway). 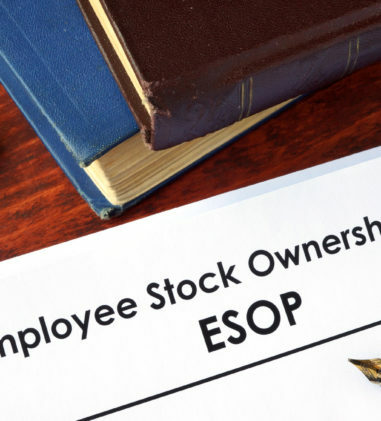 In this case, where the Secretary alleges that Defendants Saakvitne, Bowers, and Kubota caused Bowers + Kubota Consulting, Inc.’s ESOP to purchase the Company’s share for more than they were worth, the court found that the Company and the ESOP are properly named and necessary pursuant to FRCP 19(a). The court also found that the Complaint sufficiently alleges that Defendants Bowers and Kubota were ERISA fiduciaries for the ESOP’s purchase of company stock, that they breached their fiduciary duty to monitor Defendant Saakvitne, and that Bowers and Kubota had co-fiduciary liability for Saakvitne’s breach. The Complaint also sufficiently alleges non-ERISA fiduciary claims against Bowers and Kubota. 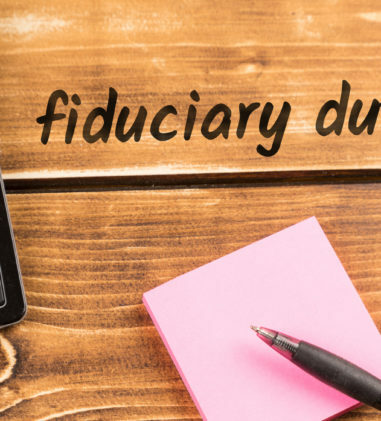 Lastly, the court found that the improper indemnification claims may proceed because the Complaint sufficiently alleges ERISA fiduciary liability. Holzman v. Hartford Life & Accident Ins. Co., No. CV 17-11436-NMG, __F.Supp.3d__, 2019 WL 181527 (D. Mass. Jan. 14, 2019) (Judge Gorton). In this dispute over long-term disability benefits, the court granted Defendant’s motion for summary judgment. 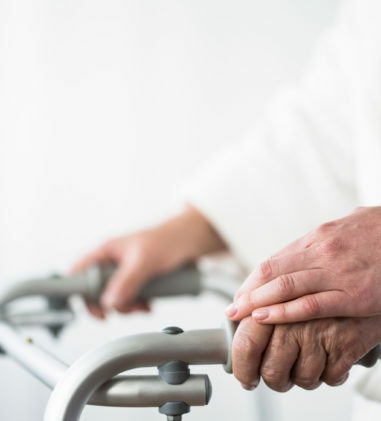 The court agreed with Hartford that contra proferentem does not apply because the Group Policy grants full discretionary authority to Hartford to determine eligibility for benefits. 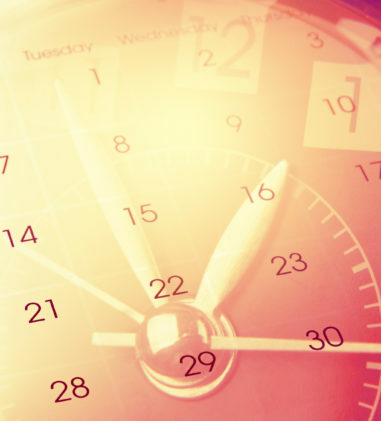 Hartford proffered a reasonable interpretation of the policy’s pre-existing condition provision, which clearly states that treatment of any sickness during the look-back period precludes LTD coverage. Plaintiff received medical care during the look-back period for his facial paralysis which was a specific manifestation of his disabling salivary duct cancer (which was diagnosed outside of the look-back period). On the standard of review, the court concluded that the conflict of interest is minimal because Hartford proffered evidence of its unbiased interest and Plaintiff didn’t raise the issue despite his burden to do so. Cannon v. Charter Communications Short Term Disability Plan, No. 3:18-CV-041-DCK, 2019 WL 235325 (W.D.N.C. Jan. 16, 2019) (Magistrate Judge David C. Keesler). The court determined that the Claims Administrator did not abuse its discretion in denying Plaintiff’s claim for short-term disability benefits where Defendant found that the only limitation identified by Plaintiff’s doctor was an inability to drive and where Plaintiff worked for several years with the same vertigo and sleep apnea conditions. Plaintiff argued that he was restricted to working from home, but Defendant concluded that this claimed restriction is not an essential duty of his occupation. Ellis v. Liberty Life Assurance Company of Boston, No. 15-CV-00090-LTB, 2019 WL 200394 (D. Colo. Jan. 15, 2019) (Judge Lewis T. Babcock). See Notable Decision summary. Hecht v. United Jewish Federation of Tidewater, Inc., No. 2:18-CV-542, 2019 WL 237394 (E.D. Va. Jan. 16, 2019) (Judge Raymond A. Jackson). Plaintiff brought state law claims against Defendant for misrepresenting his independent contractor status in order to provide him with employee benefits, including health, life, and disability insurance. Defendant removed the action on federal question jurisdiction grounds. 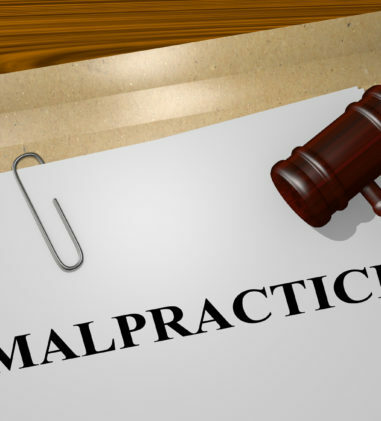 The court remanded the matter to state court, finding that the claims are not preempted by ERISA. The court explained that Plaintiff is a former employee with no reasonable expectation of returning to covered employment nor a colorable claim to vested benefits. Because he’s not an ERISA participant, his claims are not preempted. Pennsylvania v. Trump, No. 17-4540, 2019 WL 190324 (E.D. Pa. Jan. 14, 2019) (Judge Wendy Beetlestone). The court granted Plaintiffs, the Commonwealth of Pennsylvania and the State of New Jersey’s second motion for preliminary injunction against Defendants to enjoin enforcement of two Final Rules that grant exemptions to the ACA’s requirement that health plans cover women’s preventive services. Garcia-Tatupu v. Bert Bell/Pete Rozelle Nfl Player Retirement Plan; NFL Player Supplemental Disability Plan, No. 17-2179, __F.App’x__, 2019 WL 181315 (1st Cir. Jan. 14, 2019) (Before Lynch, Selya, and Lipez, Circuit Judges). Without opining upon the circumstances in which nunc pro tunc state court domestic relations orders entered after the death of a plan beneficiary may be treated as QDROs, the court affirmed the district court’s decision that the nunc pro tunc, postmortem orders which attempt to rewrite the marital separation agreement to posthumously create new interests in retirement benefits, should not be treated as QDROs under ERISA. Frommert v. Conkright, No. 17-114-CV, __F.3d__, 2019 WL 178077 (2d Cir. Jan. 14, 2019) (Before: Kearse, Cabranes, and Lohier, Circuit Judges). 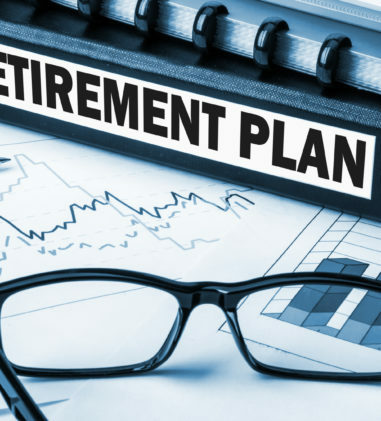 This matter involves the proper calculation of pension benefits payable to rehires who previously received lump-sum distributions of retirement benefits so as not to double pay them. This court previously determined that “the Plan Administrator’s method of calculating the Plaintiffs’ current benefits violated ERISA’s notice requirements and therefore could not be applied to the Plaintiffs’ benefits.” It remanded the case to the district court to fashion an equitable remedy. The district court selected the equitable remedy of reformation and held that “New Benefits” should be calculated as if Plaintiffs were newly hired on their return to Xerox. The Second Circuit found that this remedy falls within the “range of permissible decisions available under an abuse of discretion standard.” The court also affirmed the district court’s determination that Plaintiffs are entitled to prejudgment interest at the federal prime rate because the district court had broad discretion to grant prejudgment interest and select a rate, it carefully considered the relevant factors, and it thoroughly explained its reasoning. Fuller v. Healthcare Services Group, Inc., No. 2:18-CV-032-D, 2019 WL 244487 (N.D. Tex. Jan. 17, 2019) (Judge Sidney A. Fitzwater). The court concluded that Defendant has not met its burden of establishing the existence of an agreement to arbitrate Plaintiff’s negligence action, either through evidence of an actual agreement set out in the ERISA Occupational Injury Benefit Plan or through the doctrine of direct benefits estoppel. The court denied Defendant’s motion to dismiss and compel arbitration. Clanney v. Liberty Life Ins. Co. of Bos., No. 5:18-CV-620-JMH, 2019 WL 208872 (E.D. Ky. Jan. 15, 2019) (Judge Joseph M. Hood). The court construed the parties’ Joint Stipulation of Dismissal Without Prejudice as to Defendant Toyota Motor Engineering North America, Inc., Group Disability Income Policy, as a Motion to Dismiss pursuant to Federal Rule of Civil Procedure 21 and granted the motion. The court determined that the nonmovant Toyota policy will suffer no prejudice and dismissing it from the case will prevent the Toyota policy from incurring the expenses of defending itself in this action. Schwartz v. Bogen, No. 17-3812, __F.3d__, 2019 WL 208067 (8th Cir. Jan. 16, 2019) (Before COLLOTON, SHEPHERD, and STRAS, Circuit Judges). The court found that Plaintiff’s lawsuit against his ex-wife, alleging violations of ERISA that arose from payments he made to her for almost three decades, was properly dismissed under New Jersey law on the basis of res judicata. Prior to filing this suit, Plaintiff lost a state court case brought by his ex-wife to compel him to pay her 20% of his pension plan in monthly installments. Plaintiff did not appeal the state court judgment. He did not raise the argument that the state court had no jurisdiction to address violations of ERISA and the REA before the state court. And, the state court’s judgment demonstrates that he fully participated in the state court proceeding. Plaintiff could have sought removal of his ex-wife’s lawsuit to federal court, but he did not do so. Judgment is affirmed. Campbell, et al. v. Whobrey, et al., No. 16 C 4631, 2019 WL 184056 (N.D. Ill. Jan. 14, 2019) (Judge Edmond E. Chang). In this case “Plaintiffs assert that the Trustees neglected their duties of prudence and loyalty by refusing to consider a third-party’s offer to take on the Plaintiffs’ pension liabilities and thereby preserve their retirement benefits,” and “they also claim that the Defendants retaliated against them for filing their original complaint in this case by refusing to negotiate over the third-party offer after the complaint’s filing.” The court dismissed the Section 510 claim. 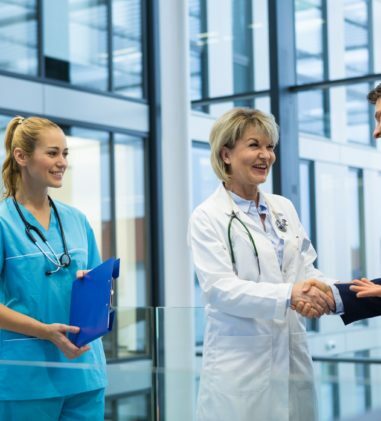 A viable Section 510 claim must allege that the defendant treated plan participants or beneficiaries differently from other plan participants or beneficiaries. The refusal to negotiate here does not differentiate amongst plan participants and there is no precedent for a Section 510 claim against a Plan for refusing to negotiate with an employer. And, Defendants’ refused to negotiate pre-lawsuit which undercuts the plausibility of the retaliation claim. Lastly, Plaintiffs have no restitution to recover under Section 510 and monetary relief is not available. Fox Valley & Vicinity Construction Workers Welfare Fund v. Morales, No. 17 C 416, 2019 WL 247538 (N.D. Ill. Jan. 17, 2019) (Judge Charles P. Kocoras). The court granted the Funds’ motion for summary judgment in part.